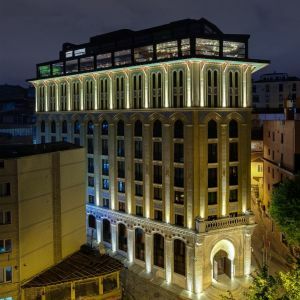 Ajwa Hotel Sultanahmet Istanbul is full of expertly realised artistic details reflecting the splendor of the Ottoman and Seljuk era, a history that began in the eleventh Century. 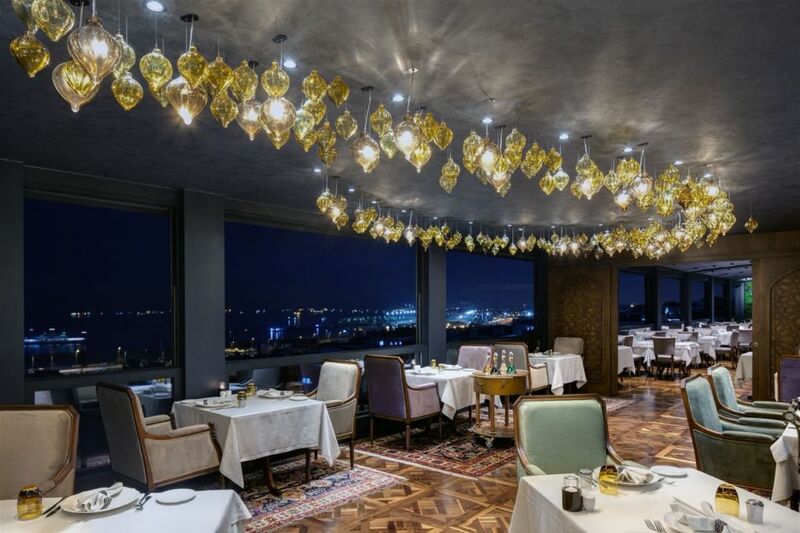 Beginning with exclusive handmade silk carpets from Azerbaijan, Ottoman cedars, ornamental lightings with classical motifs, decorative ceilings and completed by handmade tiles inspired by the Tiled Kiosk - a pavilion set within the outer walls of Topkapı Palace and which dates from 1472. 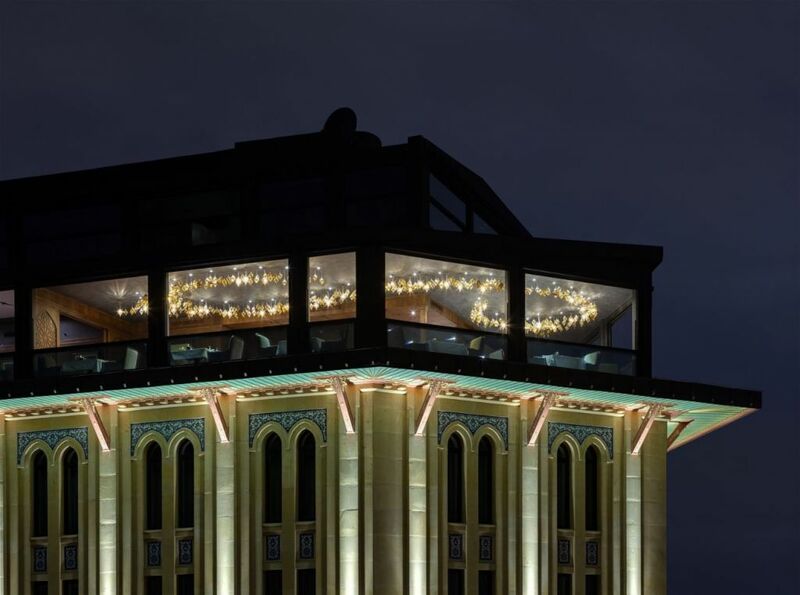 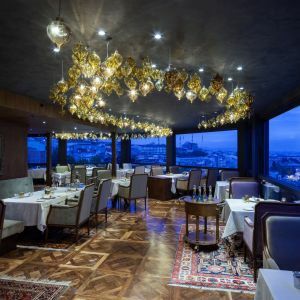 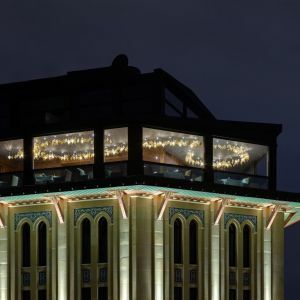 Preciosa, in collaboration with HighLight, based in Istanbul, developed an installation for the restaurant on the eighth floor. 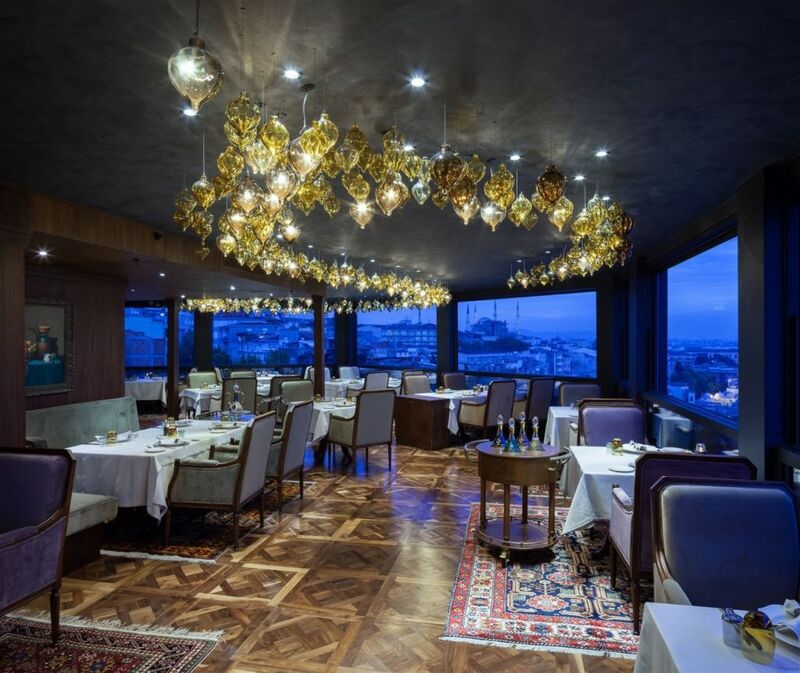 The Zəfəran Restaurant serves the cuisine of Azerbaijan and Turkic nations. 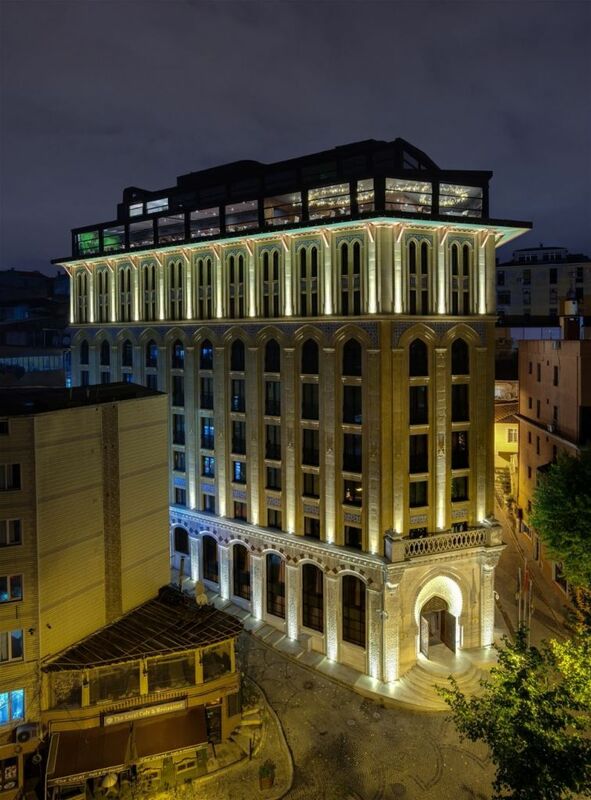 Adorned with rare Turkish wood works, it is a magnificent and unique venue with a touch of the Turkish Islamic arts. 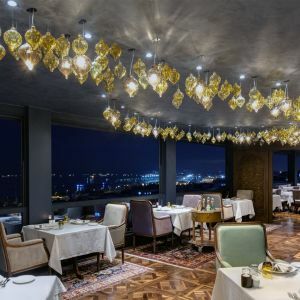 The glassed-in frontage of the restaurant presents a meandering line of glass lanterns in amber, champagne and smoky taupe colors. 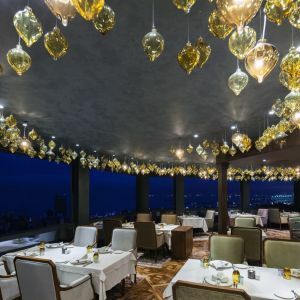 Every piece is hand blown, with a diameter of 10 to 14 centimeters, and is manually ribbed during the hand blowing process. 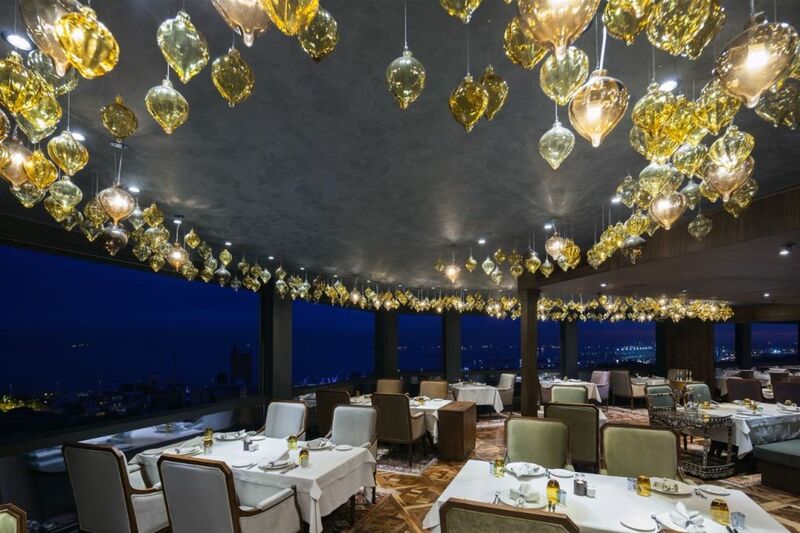 The light sources are placed both outside and inside the lanterns.